The three-time NBA champ usually leaves social media during the playoffs in an attempt to maximize his focus. It's become an annual tradition in Cleveland: "Zero Dark Thirty-23 Mode" has been activated. 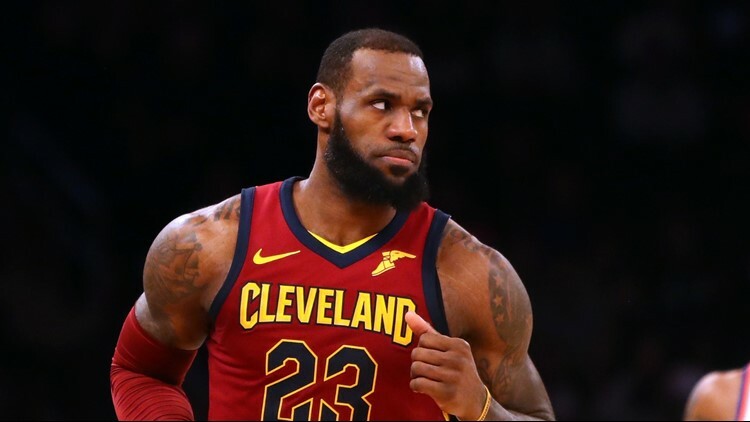 With the Cavaliers set to begin their postseason run Sunday against the Indiana Pacers, LeBron James has signed off of social media for the remainder of the season, which he does every year during the playoffs in an attempt to maximize his focus. James posted on Instagram for the last time until (hopefully) June Saturday night, leaving followers with a quote from Dr. Martin Luther King Jr.: "Darkness cannot drive out darkness; only light can do that." The Cavs enter this postseason as the fourth seed in the Eastern Conference, the lowest seed for any LeBron James-led team since 2008. Game one of their first round matchup against the fifth-seeded Pacers (whom the Cavs swept out of the playoffs last year) tips off at 3:30 p.m. from Quicken Loans Arena.